In the 1930s, two former alcoholics, Bill Wilson and Dr. Bob Smith spearheaded a grass-roots movement that permanently altered the accepted understanding of alcoholism and addiction. Widely known today as Alcoholics Anonymous, the program elevated the perception of addiction from a moral deficiency or weakness of character to an actual medical disease with pathology similar to tuberculosis or diabetes. Attempting once again to redefine addiction, the recovery sutras are intended to shift addiction from the disease model to a matrix of conditions best remedied through a wellness model and the healing properties of yoga. 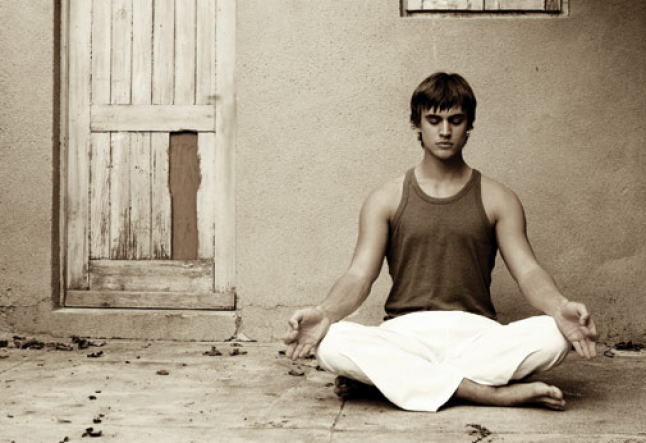 There are as many goals for a yoga practice as there are practitioners of it. A practicing Hindu’s highest goal may be union with God. For someone suffering from arthritis, running a marathon might be the ultimate aspiration. An alcoholic or addict could focus on staying sober one day at a time, while his co-dependent wife’s aim might be to focus on something outside of her husband’s addiction. Whatever the goal, it is important to have individual clarity about the things we value and desire so we can plan for and attract them into our lives. One of yoga’s essential tools for establishing goals, clarifying values and healing the individual is bhavana, or visualization. According to Sutra 1:20, the practice of smriti samadhi, or remembering and visualizing our goals, creates an abundance of faith and confidence called sraddha. The more vividly and consistently we see ourselves attaining our aims, the more energy we generate to overcome obstacles and persevere. It is unlikely we will achieve something we aren’t able to imagine. Beyond nature, everything in the world that exists, each building, road, movie or book originated as somebody’s visualization. For the fifteen years that I have been using yoga to coach individuals, I never cease to marvel at the ways visualization can be used to transform a person’s life. Its power is substantially magnified when the bhavana, or concentration of the visualization, is positive, concrete and specific. Focusing on what we do want, instead of what we don’t want is paramount. Concentrating on what we want to create and increase in our lives is far more inspiring than what we wish to remove or reduce. Telling a restaurant server what not to bring us, no steak, no pizza and definitely no dessert, fails to clue them into what we are craving. Addicts and their co-dependent counterparts often experience great difficulty expressing their goals and needs in positive terms. Their negative disposition frequently causes them to focus upon what they do not like, what they do not want or what is not working for them. This pattern is self-generating and ultimately produces negative feelings within their relationships. A downward spiral ensues and life becomes more difficult. It is important to have a concrete goal instead of an abstract one. Many people tend to describe their aims in intangible terms like “be more present,” “live in the moment,” “have more energy,” etc. Yet they are unaware of the behaviors and actions these words encompass. For those in recovery, indulgence in chronic abstractness can be an obstacle to long-term sobriety and lasting joy. I have observed many recovering addicts and yoga teachers speak for years about being grounded, centered and balanced, without taking the essence of these words to a level of observable conditions and behaviors. As popular as abstractions may be, they are undigested notions masquerading as achievable aims. It is impossible to achieve a concept, so ensure your ambition has well-defined and measurable qualities. Specific and precise visualizations are more likely to evoke powerful emotions and fuel our actions. Deciding we want to be serene, present and free lacks the excitement of visualizing ourselves doing an hour of yoga beneath Chennai’s morning sun, sipping on a frothy latte in a Florentine café or standing before a tiger on a wildlife reserve in India. The more specifically we can envision our goals, the more capable we become in successfully planning for and charting our progress. Visualization is actually an inherent ability all human beings possess. Ask any healthy eight-year-old child what they want to be when they grow up, and their answer will be positive, concrete, specific and highly enthusiastic. Just as asana helps us reclaim our original stamina and flexibility with guidance and practice, we can relearn the art of visualization to create a happier tomorrow. Choosing, focusing and sustaining attention on a specific object, or citta vritti nirodha, is the very definition of yoga found in Patanjali’s Yoga Sutras. Whether it comes naturally or as the result of practice, the more positively, concretely and specifically we envision the conditions we desire—the closer we come to actually attaining these things. Addiction is less likely to take root in a life that looks exactly like the one we envisioned for ourselves. As a powerful tool for increasing and sustaining our vitality and joy, visualization can play an important role in our recovery by moving us towards our own lovable future. I can hardly wait.